Nigel Farage in European Parliment on Brexit, MEPs not laughing now! This Is Your Victory – Brexit Passes! Brexit passed! My friends in Britain are celebrating and it is a very good day indeed. The spirits of Winnie Churchill and “Iron” Lady Thatcher smile down on Britain today. Despite all odds, Britain has voted to leave the European Union for better or worse. They voted for freedom and survival. Well done lads. David Cameron has announced his resignation as Prime Minister. Numerous countries are now lining up to leave the EU as well. The pound went through the floor last night and stock markets are tanking all over the world. The Yen is soaring and I would bet gold is through the roof. Oil has fallen below $48 a barrel as well. Good times folks – this is going to be one hell of a ride. Hold on to your butts. Sterling slid by the most on record and European stocks headed for the biggest drop since 2008 as trading soared. The yen strengthened past 100 per dollar for the first time since 2013, gold rose the most in more than seven years and benchmark Treasury yields had their biggest drop since 2009. The victory for the “Leave” campaign prompted Prime Minister David Cameron to resign. The outcome stunned many investors who’d put wagers on riskier assets over the past week as bookmakers’ odds suggested the chance of a so-called Brexit was less than one in four. The final tally, announced just after 7 a.m. London time, showed voters had backed “Leave” by 52 percent to 48 percent. JPMorgan Chase & Co. and HSBC Holdings Plc said the result may prompt them to move thousands of jobs out of London. S&P Global Ratings said the U.K. will lose its AAA credit rating. The price of freedom won’t be cheap here and if you think this isn’t going to affect America, you are a fool. It will take Britain two years to exit. There will be financial rangling and regulation amendments during this time. George Soros says this is the end of the EU… let it be so. It should never have happened in the first place. No one says it better than my friend Denise Simon: “Populism and Elitism finally lost… the people have spoken and the battle for independence is long and hard but ultimately sweet. Citizens are disgusted with being ruled by Belgium.” May the same come to America. “Good morning everyone, the country has just taken part in a giant democratic exercise, perhaps the biggest in our history. Over 33 million people from England, Scotland, Wales, Northern Ireland and Gibraltar have all had their say. We should be proud of the fact that in these islands we trust the people for these big decisions. We not only have a parliamentary democracy, but on questions about the arrangements for how we’ve governed there are times when it is right to ask the people themselves and that is what we have done. I want to thank everyone who took part in the campaign on my side of the argument, including all those who put aside party differences to speak in what they believe was the national interest and let me congratulate all those who took part in the Leave campaign for the spirited and passionate case that they made. It was not a decision that was taken lightly, not least because so many things were said by so many different organisations about the significance of this decision. I would reassure those markets and investors that Britain’s economy is fundamentally strong and I would also reassure Britons living in European countries and European citizens living here there will be no immediate changes in your circumstances. We must now prepare for a negotiation with the European Union. This will need to involve the full engagement of the Scottish, Welsh and Northern Ireland governments to ensure that the interests of all parts of our United Kingdom are protected and advanced. I’m very proud and very honoured to have been Prime Minister of this country for six years. I believe we’ve made great steps, with more people in work than ever before in our history, with reforms to welfare and education, increasing people’s life chances, building a bigger and stronger society, keeping our promises to the poorest people in the world and enabling those who love each other to get married whatever their sexuality, but above all restoring Britain’s economic strength. And I’m grateful to everyone who’s helped to make that happen. I have also always believed that we have to confront big decisions, not duck them. That is why we delivered the first coalition government in 70 years, to bring our economy back from the brink. It’s why we delivered a fair, legal and decisive referendum in Scotland. And it’s why I made the pledge to renegotiate Britain’s position in the European Union and to hold the referendum on our membership and have carried those things out. I fought this campaign in the only way I know how, which is to say directly and passionately what I think and feel – head, heart and soul. I held nothing back, I was absolutely clear about my belief that Britain is stronger, safer and better off inside the European Union and I made clear the referendum was about this and this alone – not the future of any single politician including myself. But the British people have made a very clear decision to take a different path and as such I think the country requires fresh leadership to take it in this direction. I will do everything I can as Prime Minister to steady the ship over the coming weeks and months but I do not think it would be right for me to try to be the captain that steers our country to its next destination. This is not a decision I’ve taken lightly but I do believe it’s in the national interest to have a period of stability and then the new leadership required. There is no need for a precise timetable today but in my view we should aim to have a new prime minister in place by the start of the Conservative Party conference in October. Delivering stability will be important and I will continue in post as Prime Minister with my Cabinet for the next three months. The Cabinet will meet on Monday, the Governor of the Bank of England is making a statement about the steps that the Bank and the Treasury are taking to reassure financial markets. We will also continue taking forward the important legislation that we set before Parliament in the Queen’s Speech. And I have spoken to Her Majesty the Queen this morning to advise her of the steps that I am taking. A negotiation with the European Union will need to begin under a new prime minister and I think it’s right that this new prime minister takes the decision about when to trigger Article 50 and start the formal and legal process of leaving the EU. The British people have made a choice, that not only needs to be respected but those on the losing side of the argument – myself included – should help to make it work. Britain is a special country – we have so many great advantages – a parliamentary democracy where we resolve great issues about our future through peaceful debate, a great trading nation with our science and arts, our engineering and our creativity, respected the world over. And while we are not perfect I do believe we can be a model for the multi-racial, multi-faith democracy, that people can come and make a contribution and rise to the very highest that their talent allows. Although leaving Europe was not the path I recommended, I am the first to praise our incredible strengths. I said before that Britain can survive outside the European Union and indeed that we could find a way. Now the decision has been made to leave, we need to find the best way and I will do everything I can to help. There seems to be a lot of worry, angst and hysteria from the Remain camp about the trade issue and what is going to happen on 24 June after we have voted to leave the EU. They forget what the 2 year transition period is for. We don’t leave the EU at the stroke of midnight on 23 June, much as many if us would like to. Contrary to all the alarmist talk, every county in the EU that trades with the UK has as much stake as we do to make the transition work. No company wants to lose out on trade opportunities. On 24 June the negotiations start to make things work. The last thing the EU will want is the massive disruption to trade that Brenainers are fantasising about. European and British firms will continue their primary goal – to make money. Apocalípico I by Mauricio Garcia Vega (artist) – Source/Photographer Mauricio Garcia Vega. This file is licensed under the Creative CommonsAttribution-Share Alike 3.0 Unported license. Obtained from Commons.Wikimedia. There are dire predictions of a trading apocalypse if Britain acts in its best interests and leaves the EU. That is if the hysterical campaign to remain in that undemocratic and economically fragile political grouping is to be believed. The doom and gloom Remain crowd are now wheeling out globalist after globalist to scare Brits into submitting to EU rule. The people behind pointless wars, biblical scale migrations, financial disasters and undermining cherished freedoms are currently on the march again.The latest of these political ‘celebrities’ is Presidential wannabe Hillary Rodham Clinton. It is obviously very clear that the globalists who seek to oppress us defiantly want the us Brits to remain as inmates in the open prison also referred to as the European Union – with no prospect of reprieve or parole. I have taken part in a number of online discussions during our ongoing referendum campaign here in the UK. What has struck me most is the apparent visceral hatred for democracy by some on the Bremainers. There is no reasoning with them, they say that Britain is not a democracy anyway. They are effectively claiming that Britain is not a democracy and as a result the EU does not need to have democratic aspirations. Part of the reason for the absence of democracy and accountability in the UK is because MPs can turn round and say ‘beyond our control’ because of rules made by the EU. The Antidemocratic EU is Unfixable – Vote Leave! Would be nice to fix the EU but it is unfixable. In addition to its unelected executive institution the Orwellian sounding European Commission its rubber stamping Parliament it has a record of showing contempt to the will of the people. (1) Nice Treaty – Irish vote 53.9% against (7 June 2001), response – wrong answer, Vote Again! (2) Constitutional Treaty – French vote 54.9% against (29 May 2005), Dutch vote 61.5% against (1 June 2005), EU response – wrong answer, ignore result, rename Constitutional Treaty as Lisbon Treaty and try again, but don’t make the mistake of asking the people! Planned referenda in other countries – Cancelled! (3) Lisbon Treaty – Irish result 53.2% against (12 June 2008), EU response – wrong answer, Vote Again! (4) Greek bailout vote – result 61% against (5 July 2015), response – apply pressure on Greek government to ignore their people and impose even harsher measures to punish them for their temerity. (5) Dutch Ukraine–European Union Association Agreement – result 61% against (6 April 2016), EU response to a clear vote against EU expansion – start the process of making Turkey a member of the EU. The EU is an unreformable antidemocratic sham where ordinary people are regularly held in contempt. The EU is there to further elite interests and elite interests only! 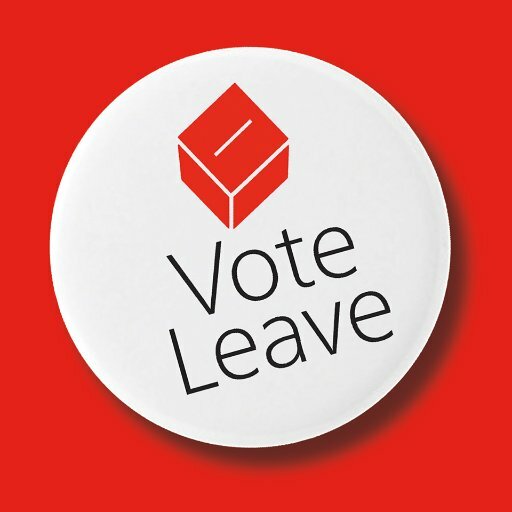 Vote for democracy – Vote Leave! because you won’t get another chance ! Forget the lists of figures, the lies, damn lies and statistics, the desperate cobbled together equations purporting to represent a future reality, the propaganda leaflet published at public expense and even the childish name calling that has now started. The main question that people need to ask themselves in this referendum is whether they want to live in a democracy. If you want to live in a democracy then the EU is not for you. The executive (ruling) institution of the EU is the unelected, anti democratic European Commission. If you want to live in a democracy where you elect your leaders then you need to vote to leave. The European Commission is the elephant in the room that the Bremainers want to hide. People complain that the House of Lords should be elected, but they ignore the unelected European Commission which has far more power and influence on our daily lives. Cameron’s so called renegotiation deliberately ignored this elephant and tried to blind us with irrelevance instead. If Europe is to be genuinely reformed the European Commission would either become an elected institution or be abolished. Neither option is on the cards and never will be! A vote to remain in the EU is therefore an unrepeatable experiment, you will never be able to truly choose the actual decision makers ever again. The real rulers will remain the remote and unknown men in black, skulking in the shadows and pulling the strings. The Bremainers will try to frighten you with short term fears but those pale in comparison to the dangers of the long term inside the EU. As you can see in today’s news, the Greek parliament just effectively disenfranchised the voters who recently enacted opposing austerity reforms in their country. Last night, the Greek politicians voted to accept bailout terms from their European creditors while protestors and police lobbed Molotov cocktails and tear gas at each other in the streets. In our latest undercover video, we predicted this outcome. With banks closed and riots in the street, what’s truly scary is what’s happening in Greece could happen anywhere — even here in the United States. For example, the U.S. territory Puerto Rico just defaulted on a major debt payment. So while you are thinking about what it will be like in the United States when we are finally forced to pay the bills we are racking up with one unbalanced budget after another, consider what the mainstream media refuses to show you, presumably for fear for their lives. As we show in the video, the Greek communists, anarchists and even the far right wing neo Nazi party are all opposed to the referendum and many of their demonstrations get out of hand. One journalist explained to us on film that when the anarchists come, they put their cameras down so they don’t get beaten up. While it’s a bleak vision of America’s possible future, it’s important that people watch our video to see what could happen here when we become unable to pay our nation’s bills. Also, we promised we’d show you what happened when James O’Keefe tried to vote in the Greek elections. As you’ll recall, James would have been allowed to vote in 19 out of 20 attempts in last year’s North Carolina election, we showed that dead people could vote in New Hampshire — and one of our reporters could have gotten away with voting in the name of former US Attorney General Eric Holder. If you’re even remotely curious about how tough or easy it is to cast a fraudulent vote in Greece, check out our latest video here. For days, I have delayed writing because the situation regarding negotiations with Iran has been so much in flux. I was waiting, waiting, for some outcome or closure. My own feeling for some time has been that there is the possibility that there will be no deal, as the Iranians in the end might balk at signing. No deal would be the best we might hope for now. Great damage has already been done. But at least this way, Obama’s insanity would be exposed and he wouldn’t be able to claim “victory.” And then, if/when Israel were to attack Iran, there would be no charge that an agreement that would have brought “peace” had been sabotaged. In truth, the Iranians pretty much have what they want already – insofar as much sanction relief has been provided upfront, European nations are clamoring to trade, and the international community has conceded the Iranian “right” to operate centrifuges. Why mess things up by signing an agreement that calls for inspections, however limited, or other controls? The problem, of course, is that, while Iran hasn’t come to terms with signing, neither have the mullahs said negotiations were at an end. They have been willing to play the game, on and on and on, all the while advancing their nuclear agenda. While the American administration – in spite of Kerry’s feeble claims that he wouldn’t stay at the table forever – has been reluctant to be identified as the party that called an end to proceedings. Then, of course, the Iranians would charge that it was the US that was refusing to cooperate on a deal. Thus have the negotiations gone past one deadline after another. I came to refer to this process, in my own head, as “faux negotiations.” These are not legitimate negotiations, for there is no real give-and-take. “’We are certainly not going to sit at the negotiating table forever,’ John Kerry said. That was last year around the time of the final deadline which had been extended from July 2014. “’New ideas surfaced’ in the final days, he claimed and ‘we would be fools to walk away.’ That’s also the theme of every sucker caught in a rigged card game, MLM scheme and Nigerian prince letter scam. “Smart people walk away after getting cheated. Only fools stay. “The March deadline was extended until the end of June. “The Iranians had a good laugh and sent the US negotiators out to fetch them some coffee and smokes. “When you don’t treat a deadline as final, that means it’s being extended. A deadline that isn’t kept, isn’t a deadline. It’s an ex-deadline pining for the peaceful Iranian fjords. “But Federica explained that the deadlines weren’t being extended, they were being ‘interpreted… in a flexible way.’ A flexible deadline is a good metaphor for the Obama negotiating posture. “…Obama’s people have admitted that they will negotiate until doomsday. And doomsday is likely to be the date that Iran detonates its first bomb. And so… yesterday it was announced that a deal was very imminent and would likely be announced on Monday. (Monday midnight – tonight – is the latest deadline.) Hearts sank, stomachs clenched, at this possibility. “Advocates of this policy have three main arguments. Finally, there’s a claim that Iran simply needs advanced weapons to help defeat ISIS in Iraq and Syria…. But (see below), Khameini is saying all his red lines have to be met, if there is to be an agreement. If the Americans cannot accept it, is this a genuine sticking point? Or, if they do, the kiss of death in Congress? Whatever the case, it is imperative that all Americans be aware of what is going on here, and hold Congress accountable. Perhaps by midnight tonight there will be a deal. But do not count on it. There is talk of extending negotiations into Tuesday. In fact, there are reports that hotel rooms have been booked again in Vienna by the US delegation. If there is a deal, it will be the stuff of nightmares, beyond horrific. Yesterday we saw photos of the overwhelming crowds in the streets of Tehran, waiting to celebrate the agreement. Horrendous. Hey folks, if the Iranians are that pleased, something is very very wrong. According to the semi-official news agency Fars, the anticipated agreement complies with all the “red lines” set out by Supreme Leader Ayatollah Khamenei. Khamenei had put forth these “red lines” last month, in talks with Iranian president Rouhani. Also a signal of something very wrong is the readiness of the Obama administration to continue negotiations even as Khamenei calls for a continuing struggle with the US – which he refers to as an “arrogant power” – regardless of what deal is signed. Not even the specter of a burning American flag prompted Obama or Kerry to protest, or gave them pause regarding the wisdom of the negotiations. Prime Minister Netanyahu has made it clear again and again that Israel will not be bound by a bad deal with Iran. Yesterday at the weekly Cabinet meeting, he showed a video of President Clinton, in which he praised a nuclear deal with North Korea, which would make the world safer. We all know how that turned out. “’The story of Iran’s nuclear capability is not over,” said Gold, the author of a 2009 book on the Iranian regime’s bid for the bomb. 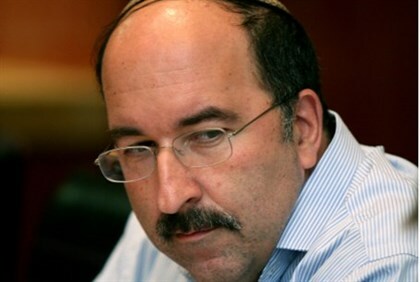 “…he hailed Netanyahu, whom he has advised since the mid-90s, as the courageous defender of the entire region, single-handedly bearing the burden of opposition to a deal that all Sunni states loathe but don’t dare to publicly criticize. Gold’s role here is important not only because of his close relationship with Netanyahu. It is also because he carries a certain prestige as an academic, author and diplomat. In truth, we do not yet know how this will play out.